This italki review has been a long time in the making. If you’ve spent any amount of time on language learning blogs or YouTube channels, you’ve no doubt come across italki or at least seen its logo around the place. In fact, it shocks me when I come across people who haven’t heard of the platform these days! 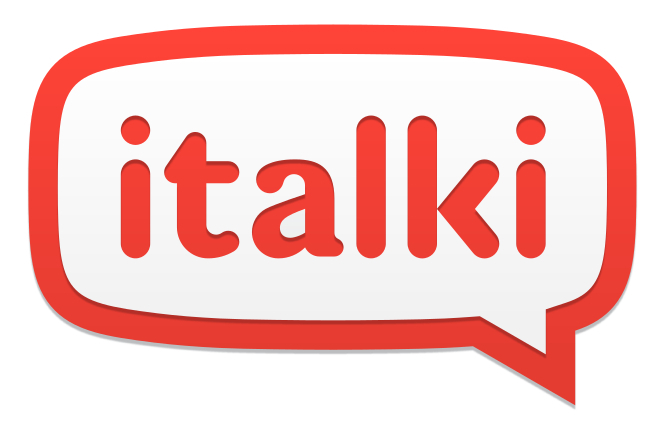 In a very short amount of time, italki has almost become a household name like Rosetta Stone or Pimsleur. This review will cover every aspect of italki and get you up to speed on the platform if you’ve never used it before. It’ll also go into detail about my own experience using the service — including some of my own very strong criticisms. In case you’re new here and don’t know who I am, I’ve been traveling the world now for over 15 years learning languages in many different immersion contexts. I’ve lived in places like Russia, South Korea, Egypt, Georgia (the country) and Jordan learning those languages the hard way. italki has been around since 2007 but it was around 2012 (a year after this blog started) that their platform was invested in and skyrocketed to success. It went from being an obscure service that nobody knew about to the talk of the town. I’ve used it for years — about 8 years in fact. In every country I’ve lived in during that time, I’ve made use of italki to either prepare myself for language immersion or to take classes while I was there. 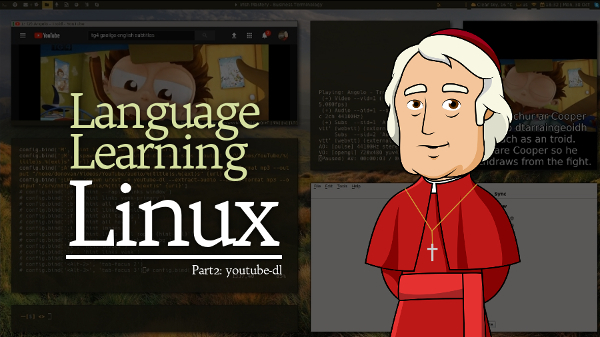 Even in the times I’ve been home, italki was my go-to service to keep my languages fresh. I recently did a huge at-home language immersion experiment using italki too. So all this is to say — I’m extremely familiar with the service. I’ve hired many different teachers on that platform and can tell you exactly how to distinguish quality from crap. Today I’m going to show you everything I know. NOTE: In the interests of full transparency, I do receive a negligible amount of affiliate commission for signups through my site to italki. This does not shape in any way my views or bias my reviews, nor does it add to the cost a customer pays if they do sign up through my site. Heads up – this review of italki is quite long and detailed. What are italki lessons actually like? Used italki before (or a better alternative)? Comment below and share your opinion. As I said above, italki is talked about everywhere. Just look at the sheer number of reviews and videos on YouTube by people talking about how italki is ‘the single most important language tool‘ you could possibly sign up for. It really is a testament to how successful italki have been. People love their service because it satisfies a real need that has always existed. Before italki came along, it was hard for most people to actually practice the language they were learning. Unless you had the good fortune to travel abroad or lived in a cosmopolis full of target language speakers, it was extremely challenging. To give you an example from my own learning: I started learning Irish (Gaeilge) just before italki became a thing. I initially announced it on this blog. At the time, I was living in a remote area of SE Queensland in a rainforest chalet with terrible Internet (not exaggerating). Learning Irish for me at the time meant using a handful of very poor quality, free resources and literally not a single person to practice with. I ended up flying to Ireland after 9 months learning like this where I finally got a chance to use the language. My struggle became so well-known at the time that I was reported on by journalists in the Irish and Australian media (because it was such an enormous feat at the time). If I had italki back then, I could have connected with native Irish speakers directly and effortlessly! It would have been a dream come true for me. italki would have potentially changed everything and my story would have been different. Well, italki is a facilitator that allows you to search a massive database of teachers and practice partners in hundreds of languages. You can then book a private lesson or class, or just a simple chat to practice. With teachers, you get to see their qualifications and read reviews from other students before making a choice. Sessions all take place over a video conference tool like Skype or Facetime. The native speakers are the ones who set their availability, price and so on — it’s just up to you to select a time slot that works for both of you. italki themselves don’t offer any educational services. italki are not the ones responsible for the quality of the sessions you get (to an extent) – they merely facilitate the connection, scheduling and payments. Teachers depend on good reviews so that means that providing you a quality lesson is super important to them. If they’re terrible, you leave bad feedback, they lose business or even get booted from the platform. italki basically provides two different kinds of facilitation. One is connecting you with actual teachers. These are people who have verified certifications to teach their language such as a degree in education, applied linguistics or a certificate in teaching. italki actually has a pretty stringent process for vetting these Professional Teachers so they can land in this category. The other type of facilitation that italki does is connecting language learners with ‘Community Tutors’. These are informal lessons or conversation sessions that may be (though not necessarily) less expensive and less structure than what you would typically get from a Professional Teacher. MY ADVICE: Community Tutors can be (and often are) better than Professional Teachers on italki. Some of the lessons I’ve had with Community Tutors have turned out to be more professional and better for my overall speaking skills than a formal lesson with a Professional Teacher. Oftentimes, the ‘experts’ have come out of a background where they’ve learned outdated teaching methodology that’s too rigid. It’s really a subjective matter and comes down to your own personal needs. Some people want a structured lesson by a professional — others want a casual conversation to practice. italki has done great job at building a sense of community on their platform. Unlike a service like Verbling for example, italki has some great free community sections as well. The most important in my opinion is the ‘language partners’ feature. 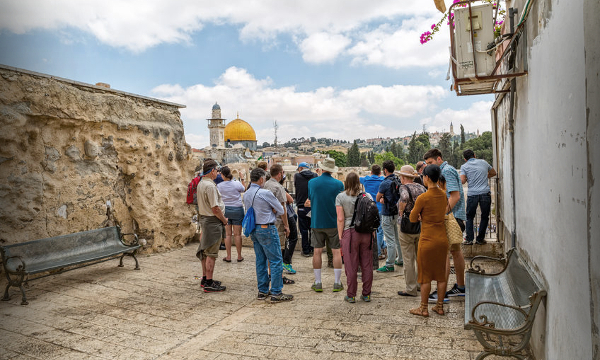 It’s basically the free version of the main service they offer – a facilitator of connections between native speakers who want to learn from each other. I do have a word of advice though: don’t treat this feature as a way to get a free teacher. Think of it more as a way to meet new friends. In case you’re unable to pay for regular lessons or tutoring then this is another great way to get language practice without spending anything (just remember that it’s free so don’t have any expectations). Before I go any further, just a quick note on language and dialect availability. One of the biggest selling points for italki is the fact it offers literally hundreds of options at this time. The list has grown substantially over the last few years. Whatever language you’re learning, you can almost guarantee there’s a teacher or tutor on italki for it. Under Chinese for example, you have Cantonese, Hakka, Mandarin, Shanghainese, Taiwanese and “Other”. 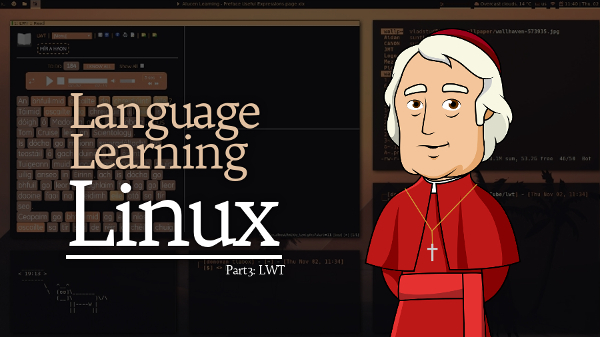 But it’s not just languages. It’s the dialect and regional variation as well. At the time of this writing for example, you can find Levantine, Egyptian, Gulf, MSA, Maghrebi all under Arabic (see below). And there are some incredibly obscure and rare languages to be found there as well. For this reason, italki attracts swathes of students from all over the world as there’s so much on offer. Prices are independently set on italki. This means that any teacher or tutor signing up to offer their services can determine their own pricing. This is both a good and bad thing. See my comments below on the need for some pricing regulation. Since italki encourages pricing competition, you can find some unbelievably inexpensive sessions on there if you look carefully. Depending on where the speakers are in the world, some even have prices as low as a couple of bucks per hour (there are also some very expensive professionals). IMPORTANT PLEASE READ THIS: One of the things that really vexes me is 3rd world, low-wage exploitation. It happens online just as much (if not more than) in the real world. Just because a person in an impoverished country is offering you an hour of their time for $4, does not mean you should oblige. Offer them more because you can. Some of the most entitled, disgusting people on the planet are the ‘4 hour work week’ millenial generation who think it’s ethically okay to pay someone pocket change online for a service that they would pay big bucks for in their own country. I admit that I’ve taken advantage of low prices like this before but I’ve learned that it’s just not right to be paying people (especially if they’re qualified) such an insulting amount of money when they deserve more. Remember that a lot of people sign up to work on services like italki because they actually need the money. I have friends who get their livelihood from it. As for expensive teachers – also be aware that sometimes high prices don’t mean anything. I’ve paid for very expensive lessons that turned out to be low quality in the end. italki’s teacher filtering is second-to-none. They really have perfected the process of searching and filtering out teacher candidates who match what you’re looking for (no doubt through years of listening to what polyglots and learners want). Beyond the filtering however, everything you need is now displayed on the teacher cards/search results that display. What you want to be looking at are the number of lessons completed (how many successful lessons have been taken), the schedule (to suit your own availability), the review stars (out of 5) and the price (obviously). The number of completed lessons may not matter too much if it’s a brand new teacher. I would also highly advise against taking lessons from a non-native unless you have specific requirements that are better suited to having things explained by a speaker of your own language. Overall, make sure to take advantage of their trial system and get a quick session to see how you like the teacher. There’s less financial risk involved in a 30 minute trial. 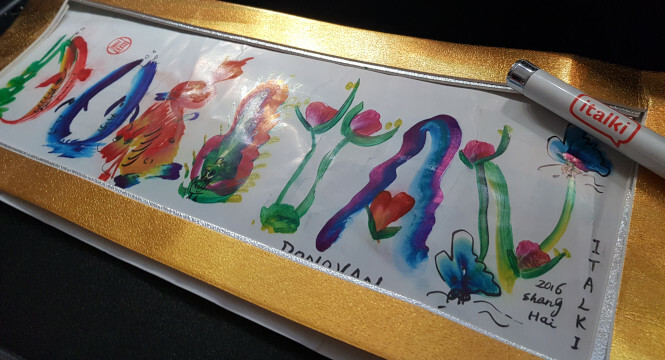 There’s a lot more I could say here about distinguishing between a good a bad teacher but I’ve talked about that many times in other posts on this blog. italki has an excellent ‘credit currency’ system in place for payments. What this basically means is that instead of paying directly for a lesson, you buy credits. You can also opt to have referrals added as credits too (if you send friends over to use the site). 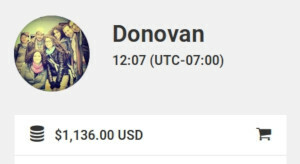 Of course, the drawback there is that if you don’t use the site for a while, you may end up a lot of credits sitting in your account not being used (I’ve had over $1000 USD sitting in my account for over a year not used that I can’t withdraw!). But it’s also a good motivator. I have a lot of money sitting there which is constantly nagging at me to log in and use. The scheduling process is super straightforward. You look at the teacher’s calendar and select a time (or times) you want to take a lesson. It gets submitted as a request and the teacher has a time limit to approve or deny that request. Credits are then taken out of your italki wallet and held in a form of escrow until lesson completion (or if there’s a missed lesson or dispute, released back to you). I’ve never had an issue or complaint with their payment system. The most important part of this review: what are italki lessons like? Like I said above, italki is not really responsible in any way for the quality of the lessons. They facilitate scheduling and payments. That’s it. The rest is between you and the native speaker you arrange to spend time with. I’ll be honest with you: I’ve had some amazing teachers on italki. I’ve also had some absolutely atrocious teachers who shouldn’t even be on there. In fact, I believe a lot of the qualifications you see on there are completely fictitious. It’s a bit like the freelancer website Upwork – it used to be an amazing place to find contractors for different types of work. Most of them were excellent. Now it’s difficult to find qualified candidates who aren’t making up their experience and qualifications to get work. That’s not to say that qualifications necessarily mean anything as a language learner — maybe you just want someone to practice speaking with. But if you’re looking for a qualified teacher, then just keep it in mind. The other point I want to make is that price does NOT indicate quality. I’ve had teachers on italki who charge $35 USD per hour who are absolute garbage and then teachers who charge $8 per hour who are spectacular. 1. Do your homework. Check the reviews and see if they have any videos up on YouTube, blogs or other social media presence that might give you an idea of what they’re like. 2. Take advantage of the trial lessons. It’s less risky – you might lose a couple of bucks on a 30 minute session but at least you’ll find out early that they’re not suitable. Once you’ve made a decision, it’s as simple as requesting a booking and arranging a time to meet on Skype. Make sure your expectations and needs are clearly communicated well before lesson time too. YOU are ultimately responsible and the one who calls the shots since you’re the paying customer. If the native teacher is speaking too quickly/slowly, using too much English, wasting too much time, using a crappy resource that you don’t like or anything else that you’re unhappy with — TELL THEM. Too many students silently accept a bad lesson and then get upset later on because they’re not getting anywhere. Lay down your rules (see my tips above) from day one and hold your new teacher to them. UPDATE: italki have just announced that they’re scrapping the Instant Tutoring feature. This is really disappointing, in my opinion. It was the one feature that I had been hoping they’d build on and improve — the ultimate ‘convenience classes’. I’ve used it a few times for Arabic when I just felt like I was in the mood to learn some Arabic at random times of the day or night, jumped on italki and found an Egyptian person online. Within minutes, we’re having a class. It’s a great shame that they’ve decided to ditch that part (not really sure why they’d make that decision to be honest). So, other than deciding to remove one of the highest potential features of the site (Instant Tutoring), there are a few strong criticisms I have of the service. One is better designation of regional variety/dialects. A couple of years ago, I was in direct contact with italki about expanding their Arabic filtering to include dialects (we run an Arabic dialect site and send students there). At the time, they only had “Arabic” as a language filter but this made it very difficult to determine which dialect the Arabic speaker was a native speaker of (you had to personally message the teacher and ask them before booking a lesson). Eventually, they added in some dialect filters (Egyptian, Maghrebi, Levantine, Gulf, MSA) which is awesome. But the more I’ve learned about other languages, the more I realize how important it is to be able to designate where the speakers are from. Even in a country like Italy for example, regional accent matters. The best way to solve this problem is provide an interactive map that specifically pinpoints where the speaker is from. 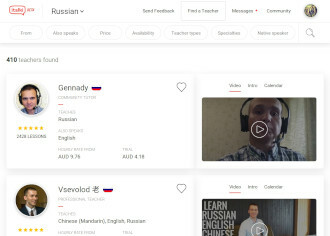 You’ll be able to instantly see if a Russian teacher is from Moscow or Vladivostok. Another criticism which I’ve already touched on is teacher quality. This is technically not italki’s fault but you do need to be aware that terrible teachers exist there (like everywhere) and their prices do not indicate their level of quality. One thought I had (whether it’s feasible or not I don’t know) is to have italki regulate pricing. A brand new teacher signs up with no experience and no credentials. They get capped at $5 per hour. They upload documentation and prove that they have a Masters in Education. italki raises their cap to $20 per hour. Then they do a certain amount of hours teaching and get enough good reviews — italki removes their cap altogether. I’m not one to stifle the free market by any means but it would be a good quality control mechanism. The best way to weed out low performers is to make them prove themselves. Reviews certainly help on their own with this but oftentimes even students can’t tell the difference between a good and bad teacher. My final and biggest criticism has to do with the rising trend in online lessons (not italki-specific). I wrote an article a while back about how we need less Skype and more natural interaction — like so many other spheres of life, people are hooked on digital interaction as a substitute for the real thing. There are even people living in the target language country who prefer to sit on their computer learning. You’ve got the language alive outside your four walls and you choose to spend your time online. Skype is and will never be a substitute for natural human interaction — especially when it comes to language learning. There are so many visual cues that you miss entirely by not being physically with the person you’re talking to. One of the primary reasons why italki has succeeded so well is that it still has no seriously viable contenders. I’ve been contacted by literally dozens of startups over the years claiming to be the “next italki”. Most of them disappeared after a few months. Some lesson facilitation sites still exist but have far fewer teacher variety and a largely inactive community. To be honest, I’m not entirely sure how italki has managed to own that share of the market for so long but it’s probably because they’ve consistently done an incredible job at serving the polyglot community. I was really touched by it. Gestures like this go a long way toward networking and building brand loyalty. Their interface is beautiful and in my opinion, simpler to navigate and use for someone new (they’ve also incorporated their own Memrise-style decks). You don’t require a third party application like Facetime or Skype to do your lessons – it’s facilitated directly by Verbling itself in your browser (this is a huge positive for Verbling). However, there’s still far less variety on Verbling at this time and it’s typically more expensive than italki. I’m unsure of the specifics but it also appears that Verbling takes legal ownership of any material you create as a teacher through their platform — something to keep in mind if you decide to teach there. NOTE FOR ARABIC STUDENTS: There’s a great site called Natakallam which is basically like italki but for Middle Eastern refugees. It seems to be very well priced and has a good reputation. I haven’t used it myself but have heard good things. If you’re considering Arabic lessons through italki or Verbling, then check out Natakallam first. My Language Exchange and Conversation Exchange. I actually used My Language Exchange a lot back in school and met a Russian penpal there who I later connected with (just a few years ago when I lived there) in Moscow. To this day, he’s a dear friend of mine. 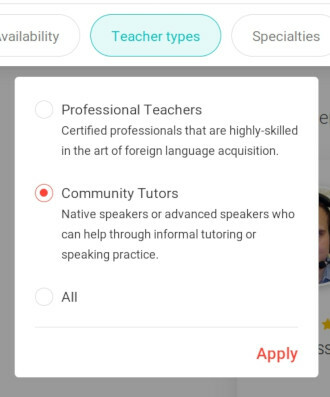 There are plenty of other language-specific services around that I’ve heard of but can’t verify so I’m not going to recommend any (a well-known one for Spanish is Baselang but I keep hearing stories of teacher exploitation so I’m wary of recommending the service). I wasn’t sure about adding this part but since a lot of people ask about it, I’ll give you some helpful advice. I’ll respond to point #2 first. I mentioned at the top of this article that I make a small referral fee for sending people over to italki. On this review or other articles on my site, I may occasionally link to italki which gets me a couple of bucks if the reader goes and makes an account there for lessons. The amount that I receive is really negligible most times (small) but occasionally enough people will sign up making it significant. These days there seem to be tonnes of italki partners around (blogs and YouTube channels) which is part of the reason that everywhere you look, people are “recommending italki”. I add it in many of my articles (most of which aren’t motivated by sales since I don’t personally need the referral fees). But I imagine for some blogs and popular YouTube channels, it’s worthwhile. You can request an italki partner account on their site. The other option is working as a teacher on italki. This has become very popular over the last couple of years leading to much stricter policies on who italki accepts as a teacher on their platform. I’ve even seen reports that italki caps teacher intake on some languages. For this reason and others, I talked above about how I think many teachers fake or inflate their credentials and experience (harder these days since you’re required to upload your credentials and prove who you are). In any case, stay honest and don’t be one of these people. I mostly say this because it’s unfair to the students taking your lessons. Once you’ve gone through the process of signing up and uploading whatever documentation italki requires of you, you’ll get to set your own schedule and rate (minus the 15% slice that italki takes). Most importantly: keep your students happy. Start small — lower your prices and exceed their expectations every single lesson. Let the reviews pile up of people saying how great you are and how much they got out of your lesson. Then you’ll be in a better position to raise your prices. But it still does not and will never compare to finding practice partners and teachers offline (in-person). My article on why people should use less Skype (or Facetime) was meant to highlight the growing trend toward non-physical interaction and the rising popularity of substitutes like italki. There is something about in-person, human interaction that just cannot be replicated by a screen and microphone. That being said, italki is hands down the best tool available if in-person interaction is not an option. If you live in the target language country, there is no excuse for taking online lessons through italki or any other service when the language is alive outside your four walls. And introversion is a poor excuse I’ve dismantled many times. However, many people don’t have the luxury of traveling or living in a cosmopolis full of target language speakers. If that’s you then you absolute should give italki a go. Have you used italki before or something better?